Sweet summer sixteen has come to an end as we fall into autumn fashion and prep ourselves with a warmer wardrobe. How would you describe your fall style? No matter the look you’re going for, there is nothing like the seasonal staple of a cozy sweater. Fitted, over-sized, knit, or hooded, there are several ways to play up your sweater game. 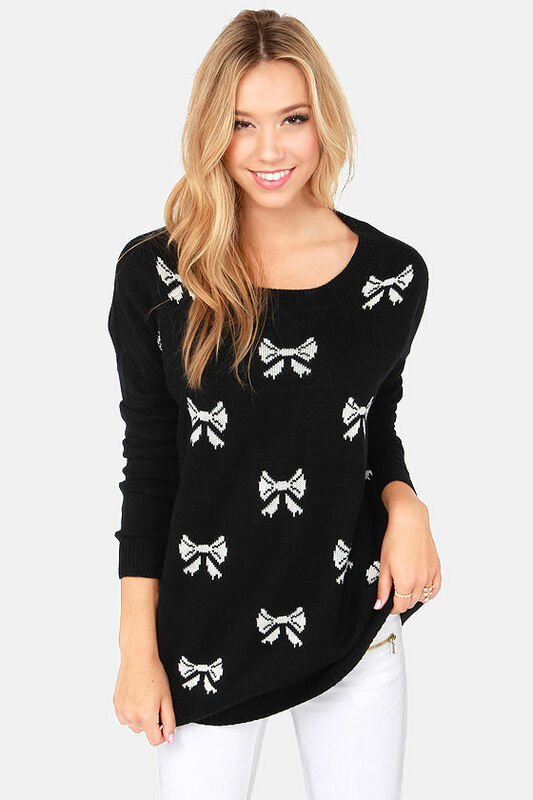 Prints on a sweater are a fantastic way to add a more playful vibe to your warm aesthetic. Whether you’re into little bears or little bows, a printed pattern really adds a personal touch to how you wear your coziest sleeves. Ariana Grande serves us some sass in her adorable bear printed sweater. 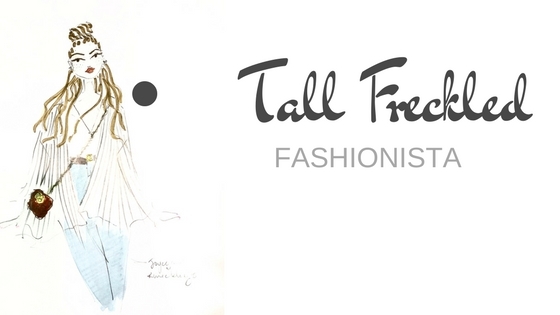 Her style shows us that fashion is an excellent way to express your personality. Angeles With the perfect balance of girlie and cozy, you can dress this up with a pair of patent pumps and skinny jeans or dress it down with ripped boyfriend jeans and slip-on sneakers. One feature that a great fall sweater must have: coziness! Up your cozy texture game in an over-sized knit sweater jacket like Rachel Bilson seen here with a maxi dress and jacket combo. A sweater that serves as a practical, yet decorative piece to your wardrobe is always essential. 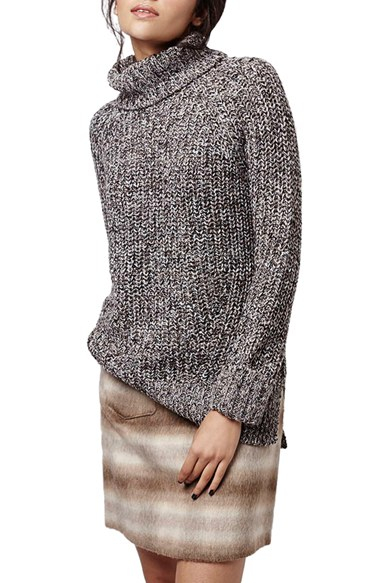 Large knits with fun woven patterns are a great way to add details to your autumn outfit. Shop a similar look to Rachel’s at JoycesCloset.ca! 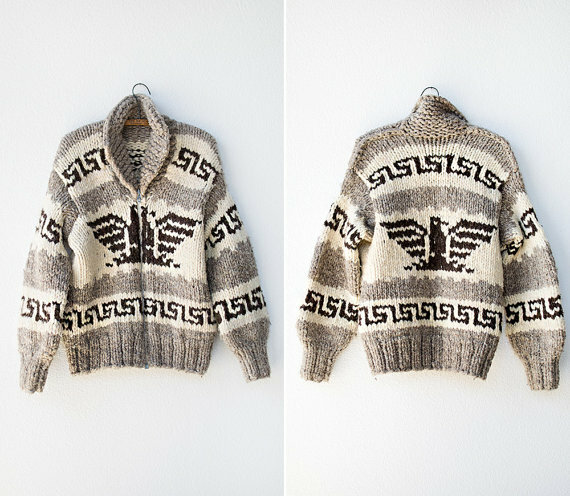 This beautiful vintage Cowichan sweater jacket will be the perfect warm addition to your warmer wardrobe. With neutral hues and intricate woven patterns, this piece can be worn over your favorite button up and skinny jeans with a pair of riding boots. Supermodel Gigi Hadid makes the over sized turtleneck trend look like a million bucks. Practical yet polished, the turtleneck is a structural feature that shouldn’t be overlooked this season. Get ready like Gigi in this tan oversized turtleneck sweater from Top Shop This look is an essential piece to looking effortlessly put together. Rock this look by pairing it with a printed circle scarf or a great statement necklace. Whether it’s a fantastic print, a fabulous texture, or just the perfect oversized size, a sweater can stylishly complete any wardrobe this season. Fall into fashion and shop these sweet sweaters at JoycesCloset.ca!